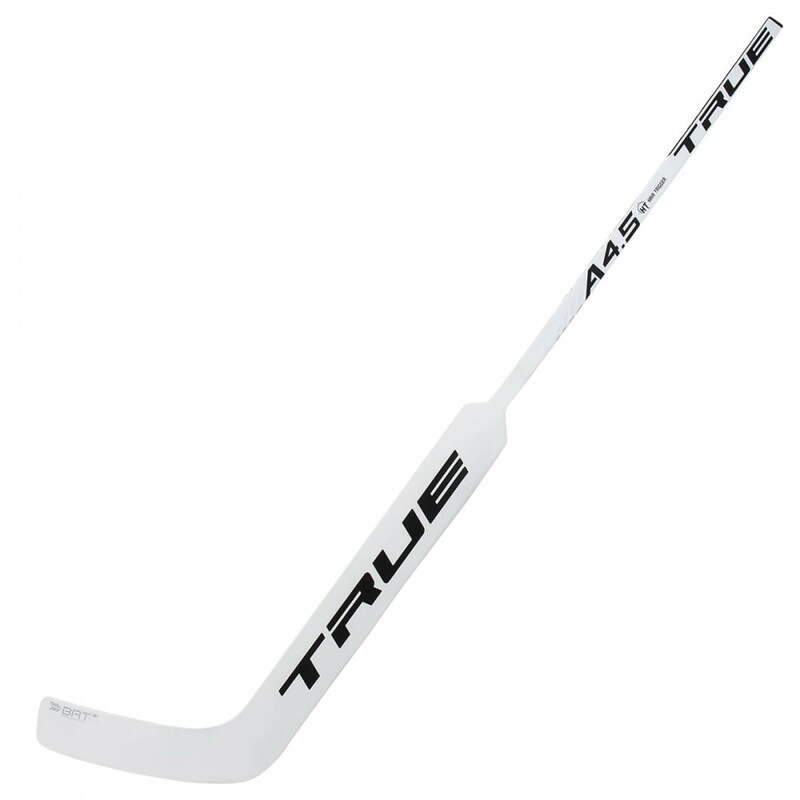 True Hockey A4.5 HT Junior Composite Goalie Stick (2018) | Sports Etc. STRENGTH: improved BRT+ technology extends into the paddle, along the edge of the blade and into to the heel, allowing for a thinner, stronger paddle. CONTROL: The viscoelastic layer in the blade and paddle provides more absorption on impact, mimicking the rebound control benefits of a Pro Foam Core model. BALANCE: carefully calculated Swing Weight, removed material from the lower paddle area, shifting the balance point towards the handle to create a lighter-feeling stick with maximum puck-handling capabilities. Sports Etc Performance To Value Rating- 9 out of 10. The combination of lightweight feel and durability have made composite goalie sticks increasingly popular. One of the knocks on composite goal sticks is the lack of “feel” you get compared to a wood stick. The True technology combines the “wood-like” and lightweight feel making it one of the best on the market.